Amateur radio, or ham radio, is the non-commercial use of certain radio bands for the purpose of education, communication, or broadcasting. As long as radio operators do not interfere with the transmission of commercial broadcasts, Amateur radio operators can communicate with other operators up to thousands of miles away. Ham radio has a long and interesting history that dates back to the days when radios required stacks of vacuum tubes and sets took up most of the basement. Ham radio operators have a bit of an odd reputation, often dismissed as loons awaiting an apocalyptic scenario after which they posses the only means of communication. While it is true that a ham radio set could continue to broadcast long after most commercial means of communication are knocked out, in fact ham radio operators have proven valuable during more localized catastrophes. For example, after major earthquakes or hurricanes, ham radio operator are usually the only lines of communication between emergency responders and the affected area before relief teams arrive. So besides the educational and social benefits of chatting with operators all over they world, they often play a vital role during disasters that knock out conventional means of communications like the internet and phone lines. With the spread of Personal computers, many ham radio enthusiasts began using computers to run their ham radio stations. Programs such as Ham Radio Deluxe became popular on Windows machines. Of course, we all know the pitfalls of being trapped with Mr. Gates latest bloatware application. Many private station operators stick to windows only to be able to keep running their stations. My search through the forums identified many operators stuck in just such a conundrum. Fortunately, there are several comprehensive Ham radio applications for popular Linux desktop distributions. The term Amateur radio is actually quite misleading. Many ham radio operators consider themselves communication professionals, and during an emergency or natural disaster, are usually the first to respond and pass information along. 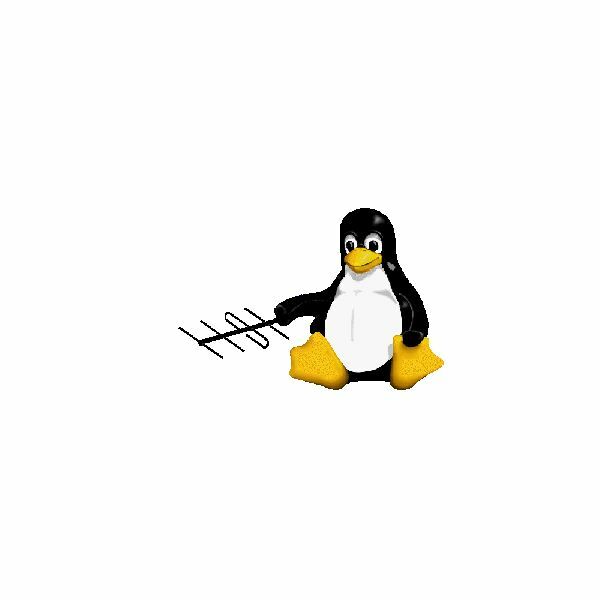 Linux and Ham radio go hand in hand. Most ham operators tweak their sets personally over decades, and Linux Ham radio software can be tweaked more than any other. Linux ham radio software allows the user to build every aspect of their broadcasting suite to their own personal, unique specifications. For example, looking at the most commonly used list of Fedora applications, the user has 8 options to choose as the preferred sound card. One advantage of user-friendly Linux distributions like Ubuntu and Fedora is that they allow common ham radio applications to be installed via the GUI, or Graphical User interface via the add/remove function. This approach is recommended for novice users, as a keyword search may reveal many options. Ham radio software is kept in the ''Other'' category, and two comprehensive apps, free like everything in Linux, are hamlib and grig. It is also possible to install programs via the terminal; this is not as difficult as novices might think, as the installation instructions are clearly available on the software homepage or on one of the many Linux forums. Windows Ham Radio on Linux? If the ham radio operator is a novice to Linux, or accustomed to using popular windows programs like echolink, which free the operator from needing to set up cumbersome antenna equipment due to its satellite connections, it is possible to run these Windows programs in the faster, virus free environment of a Linux workstation. The solution is a Windows emulator called Wine. This is a software program that allows the user to install Windows applications within a compatible Linux distribution. Ubuntu, Fedora, Redhat, and Debian all have wine installable through the add-remove feature. Configuring Windows software to work in a Linux environment is far simpler than you might think. The biggest stumbling block for novice wine users is when the program they wish to use requires Windows specific graphics drivers. Most ham radio software is light on graphics, so they should run seamlessly in the wine emulator. With all the options out there, the biggest challenge facing the ham radio operator is which programs to use. Of course, considering that most software built for Linux is free, the operator can sample as many apps as they please at no cost at all. This, in addition to Linux superior speed and security, makes it a promising growth area for ham radio applications. So go forth and enjoy this fascinating hobby unshackled from the limitations of proprietary OS's! Author's experience with ham radio.